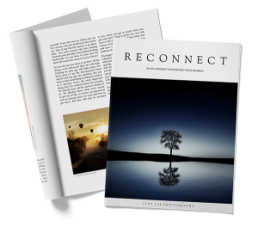 We all hunger for deeper, authentic connections but don’t necessarily know how. We think we know the people in our lives but we really don’t. Having vulnerable conversations help us feel connected to each other and the world. Sharing our struggles helps us realize we are more alike than different. I will create a safe space for women to show up as their true selves. I will make each woman feel welcome and wanted in this space and to feel like she matters. I will make her feel like she can take off a little bit of her armor so that she can feel a little lighter when she leaves. I will make every woman feel like she is enough, despite what she shares or doesn’t share. I will facilitate this environment by being open and vulnerable and sharing a little bit of my soul without fearing judgment, confident in my self-worth because I will give it to myself and not look for it elsewhere. I will allow each woman to feel like she can share as much or as little as she wants, knowing her very presence is enough. I will be fully present and actively listen when someone talks so that she will feel heard. I will be grateful for every woman here because she is trusting me to facilitate this meaningful and connective experience. Since opening my studio in the spring of 2018, the purpose of the secondary room has expanded from Coffees to workshops, collaborative events, and WomanSpeak but the Coffees will always be dear to my heart. 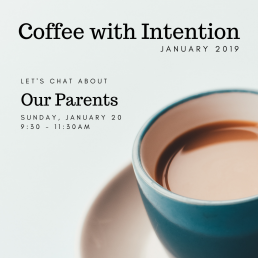 Join us for our next Coffee with Intention on Sunday, January 20th @9:30-11:30am. We will be having intentional conversation about Our Parents. Reserve your seat here.